The next few weeks I am dedicating to posting Christmas inspired recipes! Which basically amounts to recipes for amazing vegan English roast dinners, which in my opinion should be eaten all year round! One of the best things about vegan roast dinners is the sauces. And the fact you don’t have to stick to the one type someone decided is the right sauce to go alongside whichever animal flesh is on offer…with a vegan dinner you can have them all! And mint and apple are my favourites, so why not mix them together? 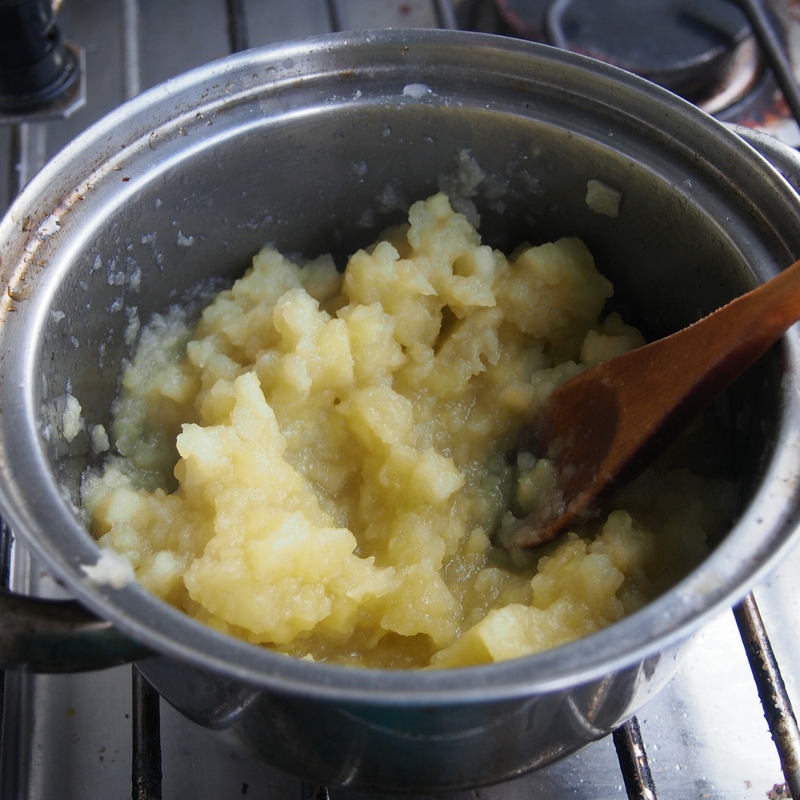 So I give you my recipe for Minted Apple Sauce, best served with roast potatoes, stuffing, and tons of lightly steamed veggies. 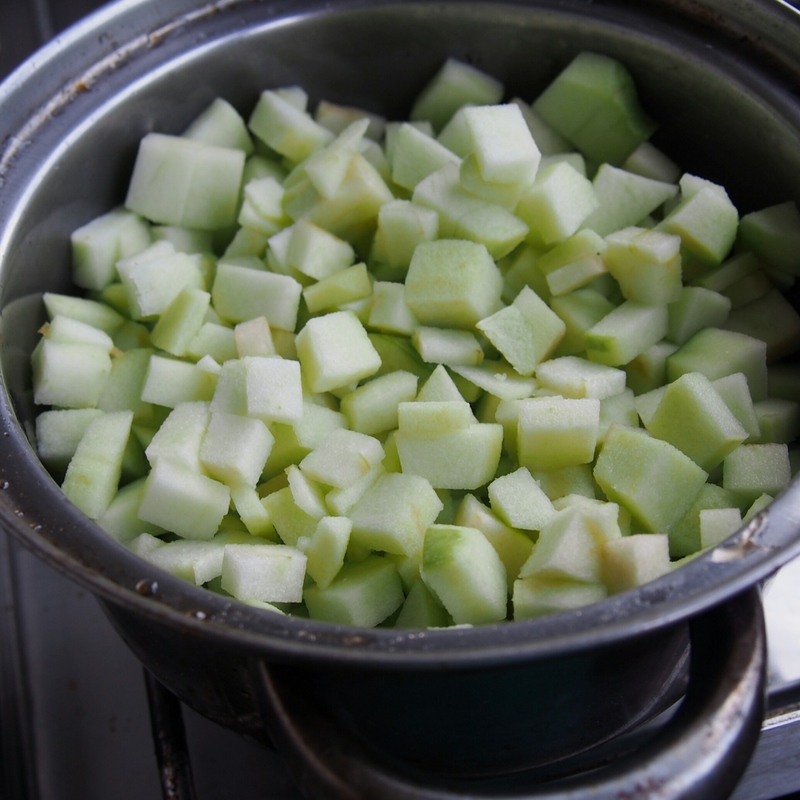 Peel apples and chop into small cubes. 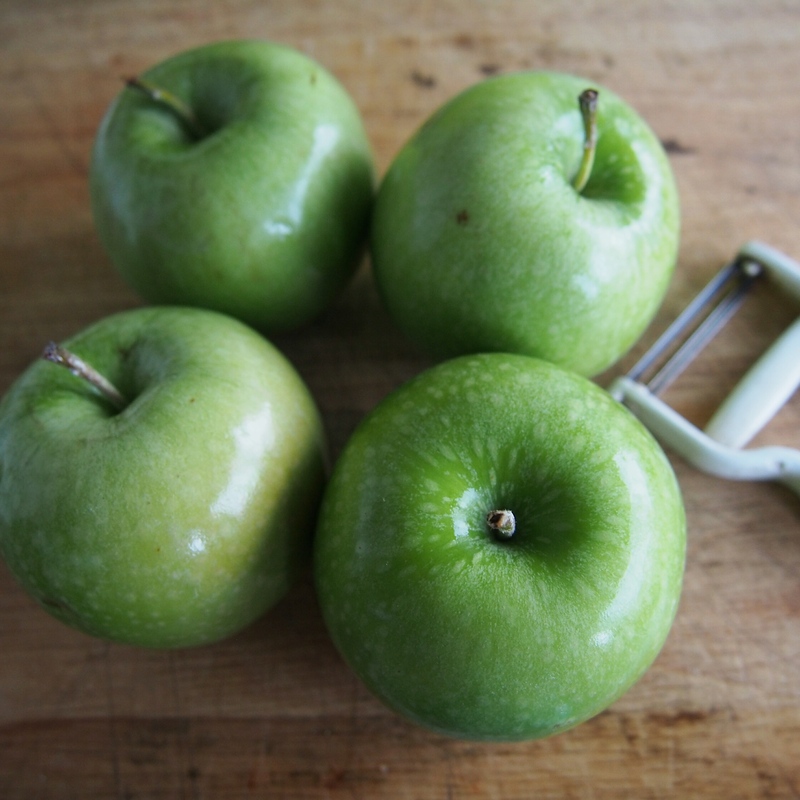 Place apples, water, sugar and lemon juice in a small saucepan, place on a medium heat and cover with a lid. Simmer for about 10 minutes, stirring occasionallly, until you can mash the chunks up with the wooden spoon. Take off the heat and set aside to cool slightly. 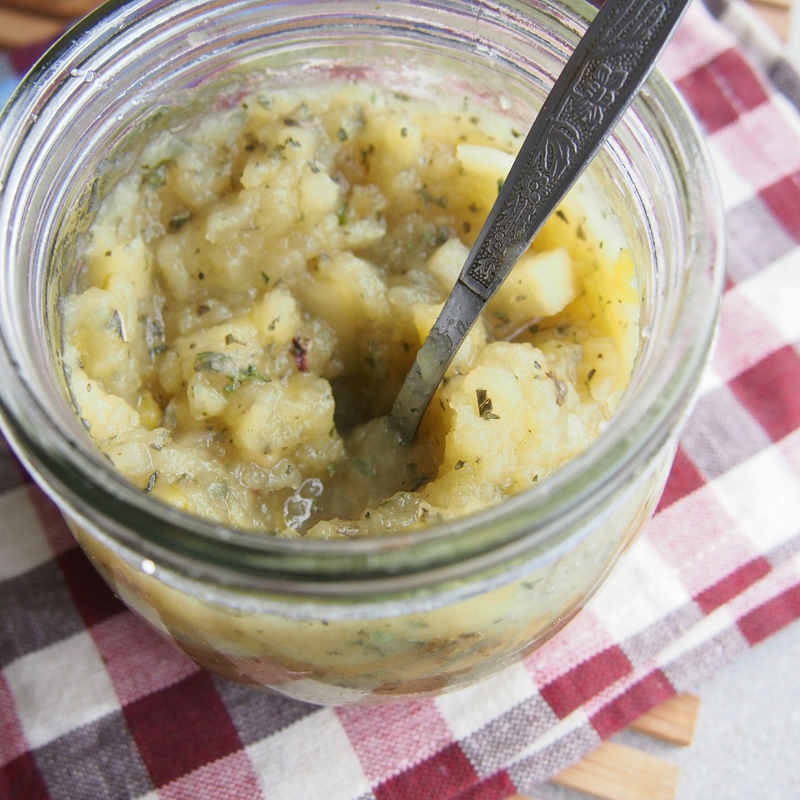 Stir together the salt, mint, maple syrup and apple cider vinegar then pour into the apple sauce and mix until combined. 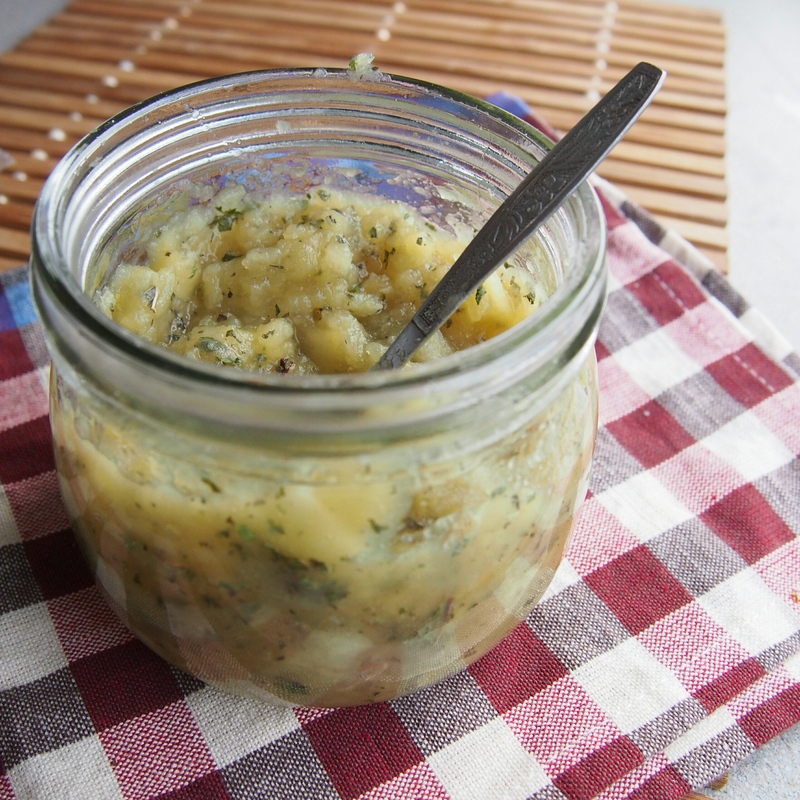 Once cooled store the Minted Apple Sauce in the fridge until ready to serve alongside your vegan roast dinner feast!